Experience our AMAZING SPACE and do things you never thought possible! Our team building space promotes interactive play and enhances communication and collaboration between all participants. 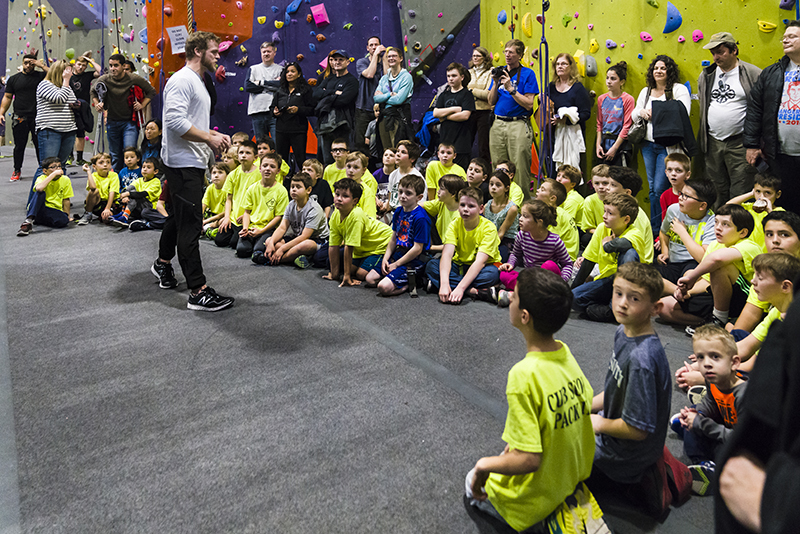 Your students will experience rock climbing in our Action Adventure climbing room, Ninja Warrior obstacles on our professional course and Parkour gymnastics. These activities will provide physical challenges for everyone, while bringing your group closer together. They will engage in team activities for all levels of fitness. Our professional athletes and floor staff hosts will make your time with us unique and unforgettable. • Get harnessed and get ready to climb 42 feet off the ground! • Laugh with your fellow students as they mount the toilet bowl 32-feet high up our wall! • Charge full speed up our three Warped Walls! 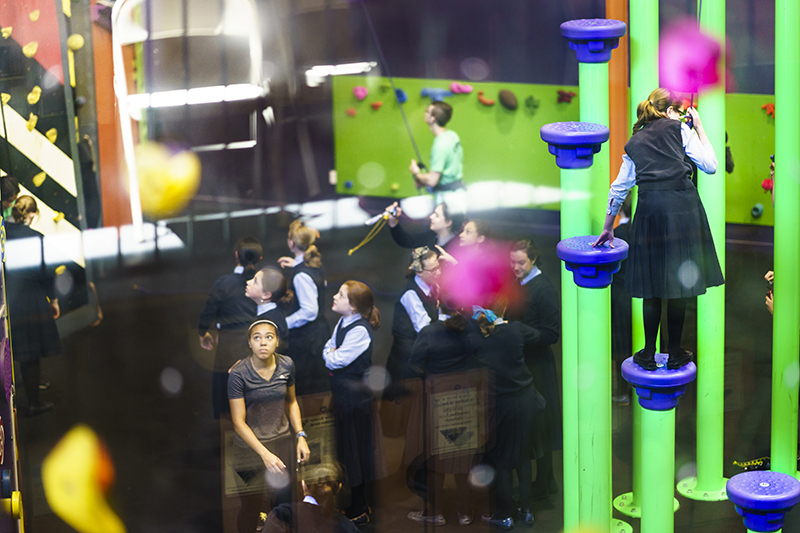 • Race up our Speed Wall side-by-side, or face-to-face up our Glass Wall! • Impress your peers by trying our authentic double-salmon ladder! • Compete on our Team Ninja Warrior Courses! • Jump, Vault, and Leap in our Parkour room! fundraisers for schools, charities and Non profits! Let High Exposure help you achieve your Fundraising Goal! Come experience our AMAZING SPACE and let High Exposure help you achieve your fundraising goal! Every year High Exposure has helped local schools, charities and non profits raise funds to achieve their targets, we offer a donation for groups of 50 or more. Come to High Exposure and enjoy a fun experience and walk away with a donation that same day! Looking for something new for your troop? High Exposure offers an awesome immmersive experience for Cub Scouts, Scouts, Brownies, Girl Scouts and Girl Guides! High Exposure gives your squead a chance to utilize all the skills they have been training through their Scout journey. 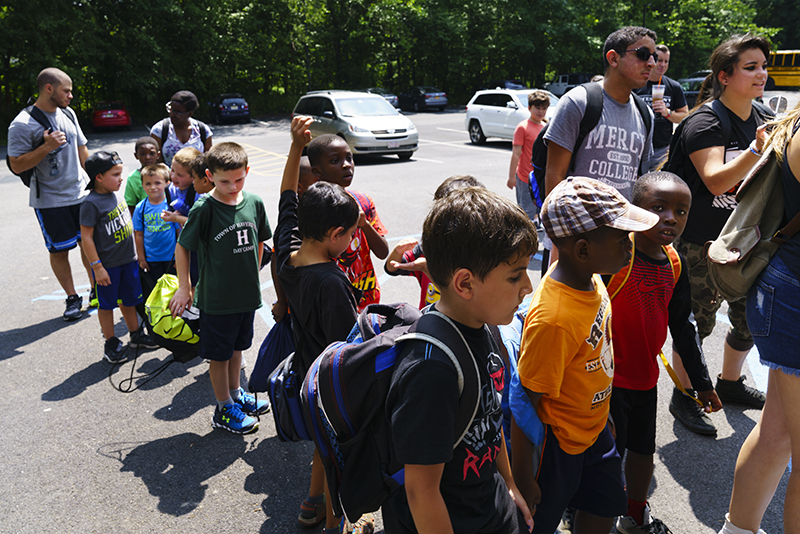 They will build trust and a renewed sense of kinship with their fellow scouts. Above all else, enjoy, laugh, and become a supportive part of your group. We can offer a Merit Badge Councellor at an additional cost for the climbing merit badge if required.